We all operate on energy. Awareness of how and where we invest or squander it can help us harness and direct it for better returns. 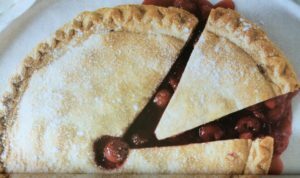 Our personal ‘energy pie’ is finite which means each interaction taxes and uses chunks of that pie. Developing awareness by consciously appropriating energy, time and focus, helps us invest rather than deplete those resources for a higher ROI. How are you using your personal energy? Do you regularly invest it into what you want develop and grow in your life – or are you squandering that precious energy aimlessly on non-fulfilling, short-term, dead-end, inconsequential pursuits? In choosing the later, you are operating out of fear. Fear will drive and keep you busy and safe. That’s its primary function. It will mislead and keep you so busy doing anything and everything other than taking the risks that help you grow by stepping out of your comfort zone. But that’s exactly what growth requires, not only to achieve your dreams and vision of a bigger, more self-actualized life, but to simply experience surges exhilaration and vitality, in pursuit of your goals for growth and success. Investing your energy by way of time and focus, infuses purpose and meaning to life and compounds priceless returns in terms of success for confidence building, growth, satisfaction, netting quality of life experiences. Remember, you build and grow whatever you put energy on! So – where will you direct your energy and attention? What success will you navigate towards to manifest those big, important goals for your defined success in life? ← Rebound Or Let Failure Stop You?